Freelan Hincher1,4 [Freelin Hincher2,5, Freland Hinchy6]. 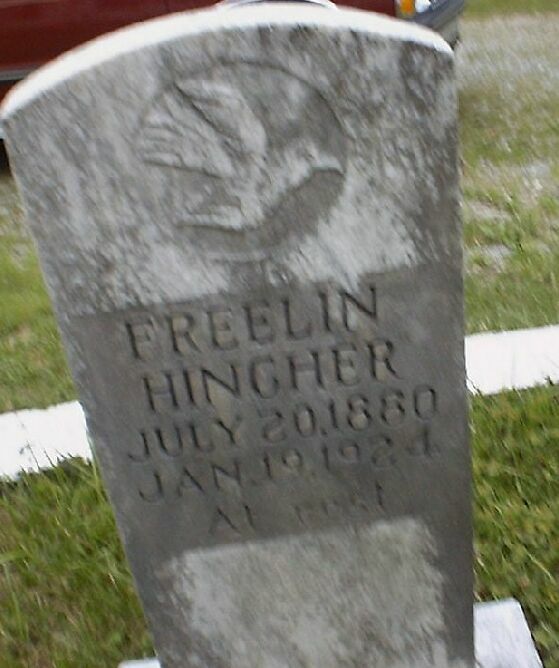 Hincher, Freelin H., head-of-household, age 40, born in North Carolina; parents born in North Carolina; owned home; farmer. 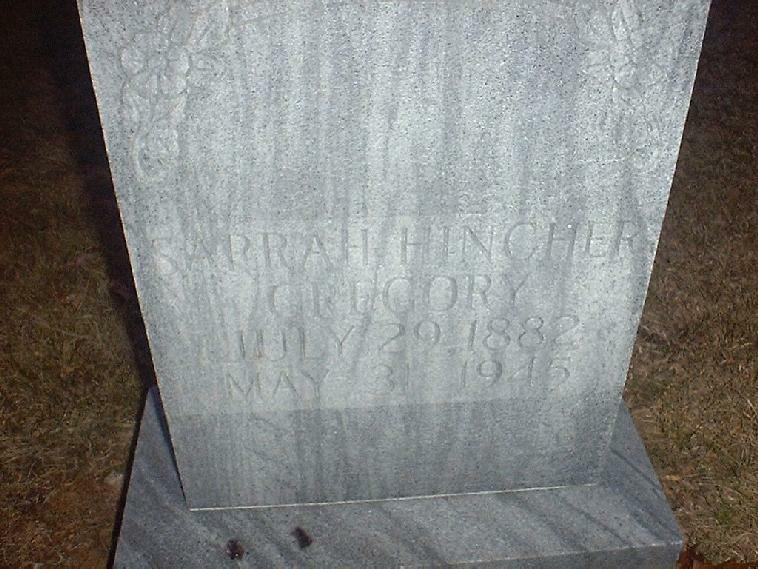 Hincher, Sarah C, wife, age 37, born in North Carolina; parents born in North Carolina. Hincher, Lilie C., daughter, age 19, born in North Carolina; parents born in U.S.; attended school. Hincher, Della C., daughter, age 16, born in North Carolina; parents born in U.S.; attended school. Hincher, Flora O., daughter, age 14, born in North Carolina; parents born in U.S.; attended school. Hincher, Dorthy E., daughter, age 8, born in North Carolina; parents born in U.S.; attended school. Hincher, John R., son, age 5, born in North Carolina; parents born in U.S.; attended school. Hincher, Filmore E., son, age 3 years 6 months, born in North Carolina; parents born in U.S..
Hincher, Claud E., son, age 11 months, born in North Carolina; parents born in U.S..
Hincher, Sarah, head-of-household, age 50, born in North Carolina; parents born in North Carolina; first married at age 20; widow; owned home; no radio in home; occupation: farmer, general farm. Hincher, Remma, son, age 18, born in North Carolina; parents born in North Carolina; occupation: laborer, general farm. Hincher, Filmore, son, age 14, born in North Carolina; parents born in North Carolina; attended school; occupation: laborer, general farm. Hincher, Claud, son, age 12, born in North Carolina; parents born in North Carolina; attended school; occupation: laborer, general farm. Hincher, Lela, daughter, age 8, born in North Carolina; parents born in North Carolina. Contribution from Von Hincher citing: Ambrose Milton Hincher. 1930 census, Walnut Grove Township, Wilkes County, North Carolina; roll T626-1729, ED 29, page 5B, line #70, dwelling #82, family #82. 1880 census, Mulberry Township, Wilkes County, North Carolina; ED 208, page 72A, line #26, dwelling #232, household #237;. Contribution from Peggy Smith () citing: gravestone. 1920 census, Walnut Grove Township, Wilkes County, North Carolina; roll T625-1329, ED 188, page 1A, line #9, dwelling #2, family #2. Photo courtesy of Peggy Smith ().